Chloroacetic acid is a specialty organochlorine compound and building block in organic synthesis. Hence, it used in the production of various chemical compounds, agrochemicals, dyes, and drugs. Chloroacetic acid is used to prepare or produce industrial chemicals and is used as a thickening agent or chemical intermediate in carboxymethylcellulose (CMC) and carboxymethyl starch. It also produces thioglycolic acid and glycine, which is a major precursor to the production of glyphosate. Chloroacetic acid is a synthetic organic intermediate used as an acidic derivative such as salt, acyl chloride, ester, hydrazide, anhydride, and amide due to high reactivity of the carboxylic acid group and substitution of the direct interaction of a Cl atom. The global chloroacetic acid market is expected to exhibit significant growth over the forecast period, owing to increasing demand for chloroacetic acid for the production of glycine. The amination of chloroacetic acid with ammonia produces glycine and glycine is used as buffering agent in antacids, analgesis, antiperspirants, and toiletries. However, government regulations on chloroacetic acid is a major factor restraining growth of the chloroacetic acid market. For instance, according to the harmonised classification and labelling (ATP01) approved by the European Union, chloroacetic acid is toxic if swallowed or exposed to skin. Also, it causes severe skin burns and eye damage if inhaled. Furthermore, the classification provided by companies to European Chemicals Agency (ECHA) in Registration, Evaluation, Authorisation and Restriction of Chemicals (REACH) registrations helped to identify that chloroacetic acid is toxic to aquatic life with long lasting effects and may be corrosive to metals. The global chloroacetic acid market was valued at US$ 1,403.2 Million in 2017 and is expected to register a CAGR of 6.87% in terms of revenue, over the forecast period (2018 – 2026), to reach US$ 2,654.1 Million by 2026. Amongst product type, monochloroacetic acid segment accounted for the largest market share of 75.03% in 2017 and it is expected to increase during the forecast period. Monochloroacetic acid is used for the production of carboxymethyl-cellulose, herbicides, thioglycolic acids, and cellulose ethers. Monochloroacetic acid (MCA) and sodium monochloroacetate (SMCA) are used in the synthesis of various agrochemicals such as herbicides and pesticides. MCA is used as an intermediate in the manufacturing of various agrochemicals including 2, 4-D, glyphosate. The demand for agrochemicals in agriculture industry is increasing due to rising global population and this has led to increasing demand for food grains, which in turn will increase demand for chloroacetic acid. For instance, according to the India Brand Equity Foundation (IBEF), Indian agrochemical sector was valued at 2.2 billion in 2017 and it is expected to reach US$ 7.5 billion in 2019, witnessing a CAGR of 13.18% during the forecast period (2013-2019). North America accounted for the third largest market share in the global chloroacetic acid market in 2017, owing to increasing demand for chloroacetic acid from end-use industries such as pharmaceutical, chemical, cosmetics, and agriculture. These factors are driving growth of the market in this region. Chloroacetic acid is used for the production of vitamins, malonates, synthetic caffeine, and amino acidic acid. Furthermore, growing pharmaceutical industry in the U.S. is another factor driving growth of the chloroacetic acid market. According to the International Trade Association (ITA), the total pharmaceutical sales in 2016 was valued at US$ 333 billion in the U.S. Furthermore, chloroacetic acid is used to prepare or produce industrial chemicals and is used as a thickening agent or chemical intermediate in carboxymethyl cellulose (CMC) and carboxymethyl starch. In agrochemicals, herbicides such as glyphosate is another factor driving the market growth. It is applied to the leaves of plants to kill both broadleaf plants and grasses. The sodium salt form of glyphosate is used to regulate plant growth and ripen fruit. Monochloroacetic acid is used for the production of carboxymethyl-cellulose, herbicides, thioglycolic acids, and cellulose ethers. Monochloroacetic acid (MCA) and sodium monochloroacetate (SMCA) are used in the synthesis of various agrochemicals such as herbicides and pesticides. MCA is used as an intermediate in the manufacturing of various agrochemicals including 2, 4-D, glyphosate. Rising demand for monochloroacetic acid due to its application in agriculture industry is driving growth of the global chloroacetic acid market. Monochloroacetic acid is a carboxylic acid, which is formed by chlorination of acetic acid. It is a colorless, crystalline solid and is highly soluble in water. Carboxylic acid is a useful building block in organic synthesis. Monochloroacetic acid is used for the production of thickening agent. In agriculture industry, carboxymethyl cellulose acts as a suspending agent and is used in pesticides and sprays. However, government regulations for chloroacetic acid is restraining growth of global chloroacetic acid market. For instance, according to the European Chemicals Agency, producers of monochloroacetic acid (MCAA), an organic chemical used as an intermediate in the manufacture of various products, have been fined as it is polluting the environment and is toxic. This decision further led to an investigation regarding alleged arrangements affecting competition in certain markets for MCAA. 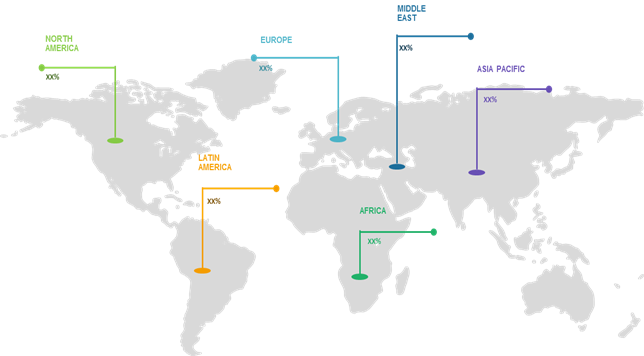 On the basis of region, Europe accounted for the second largest market share in the global chloroacetic acid market in 2017 due to significant demand of trichloroacetic acid. 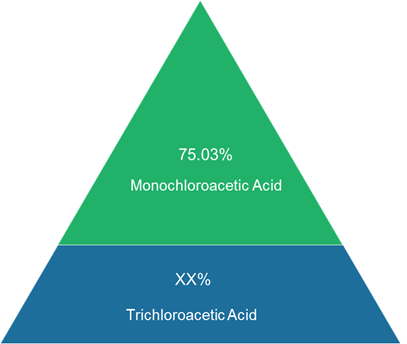 Rising demand for trichloroacetic acid is driving growth of the chloroacetic acid market, owing to its benefits and applications in the cosmetic industry including chemical peels and tattoo removal and topical medications for chemoablation of warts such as genital warts. For instance, according to the U.S. Department of Commerce’s International Trade Administration, France cosmetics industry was valued at US$ 18.2 billion in 2016, which increased to US$ 19.5 billion in 2017. * Browse 21 market data tables* and 44 figures* on "Chloroacetic Acid Market” - Global forecast to 2026.